IC 1318 is a vast region of emission nebulosity excited by hot young stars and separated by dark lanes of dust. From our vantage point it is centered on the star Sadr (Gamma Cygni). In this image Adrian Brown combines hydrogen alpha data he took in July 2006 with RGB data from May 2009. The RGB data consists of 22 x 5 minutes red, 20 x 5 minutes green and 18 x 5 minutes blue. 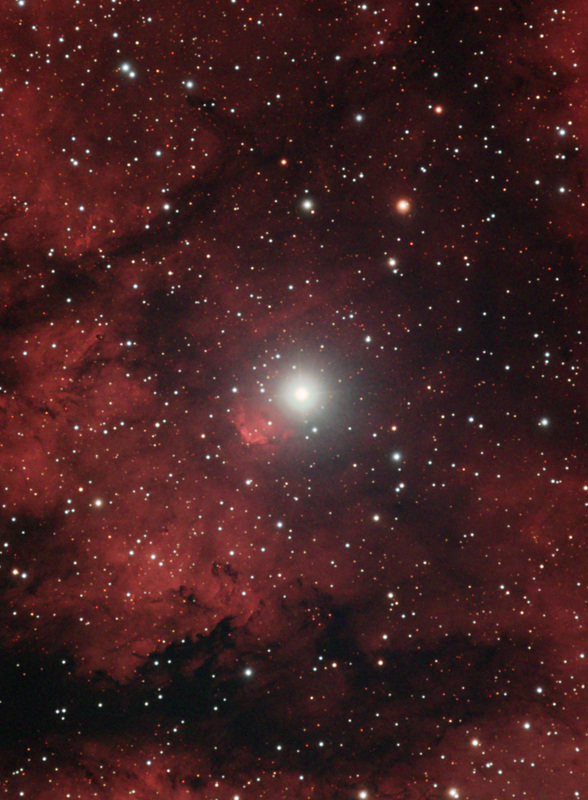 The original 18 x 15 minutes of hydrogen-alpha data, collected in July 2006, was blended into the red filtered data to increase the contrast of the nebulosity surrounding the star Sadr. To collect the RGB data Adrian used a Skywatcher 80ED refractor, reduced to 480mm focal length via a William Optics 0.8x focal reducer, Astronomik RGB filters and an ATK16HR CCD camera. The new RGB data and the original hydrogen-alpha data was aligned and resized with Registar 1.0 and blended together with Photoshop CS2. Adrian Brown produced the following picture of the nebulosity which comprises a total of eighteen 15 minute exposures captured over the nights of the 12th, 13th, 14th and 15th of July 2006. 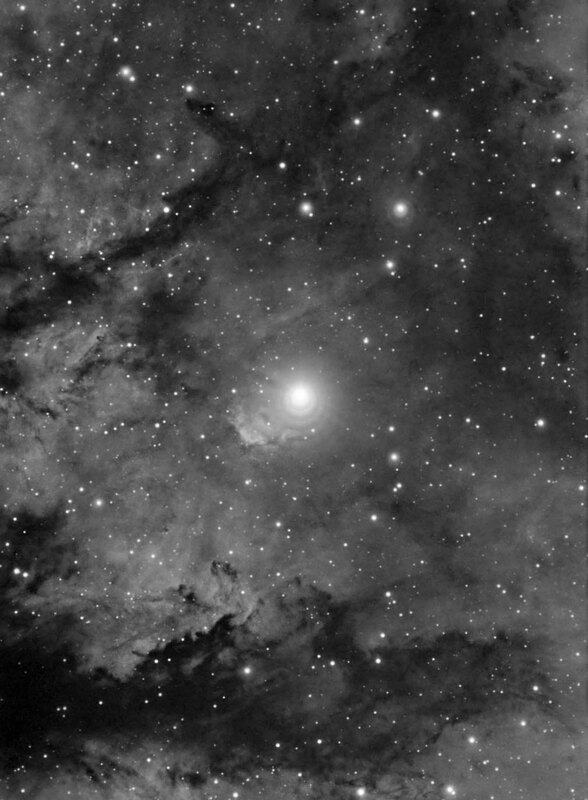 It was imaged through a 6nm Astronomik Hydrogen Alpha filter via an ATK16HR CCD camera and a Sky-watcher 80ED refractor at f/7.5. A Celestron CGE mount was used throughout, auto-guided via the program GuideDog and a Skywatcher 80T refractor and ATK-2HS CCD camera. Image acquisition and stacking was done in Maxim DL 4.53. Post processing was performed in Adobe Photoshop and consisted of Levels and Curves, a high pass filter to sharpen the image and selective use of the Gaussian Blur filter to smooth the background noise.